I've seen enough to do this posting. Hurricane Matthew, which had weakened a bit from Category 5 wind speeds yesterday evening is now restrengthing (at least temporarily) while making an unforecast loop, instead of moving to the west. Wind speeds are around 140 mph. I believe it will resume a western path this evening. The latest satellite image is below. 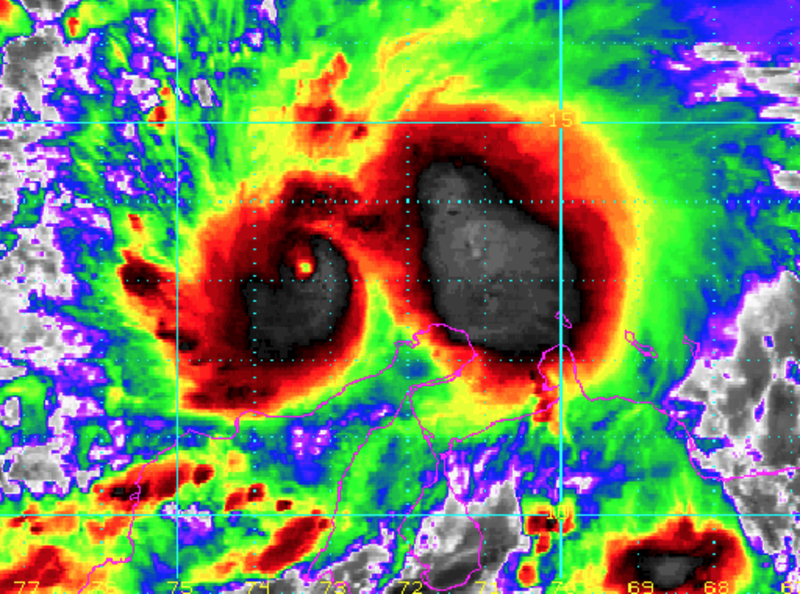 The eye has gotten better defined the last few hours. Part of the challenge in forecasting this storm is that it is perhaps the strongest storm this far south (just off the coast of South America). It is difficult to forecast storms that have no historical precedent. Here is the most recent path forecast from the National Hurricane Center. 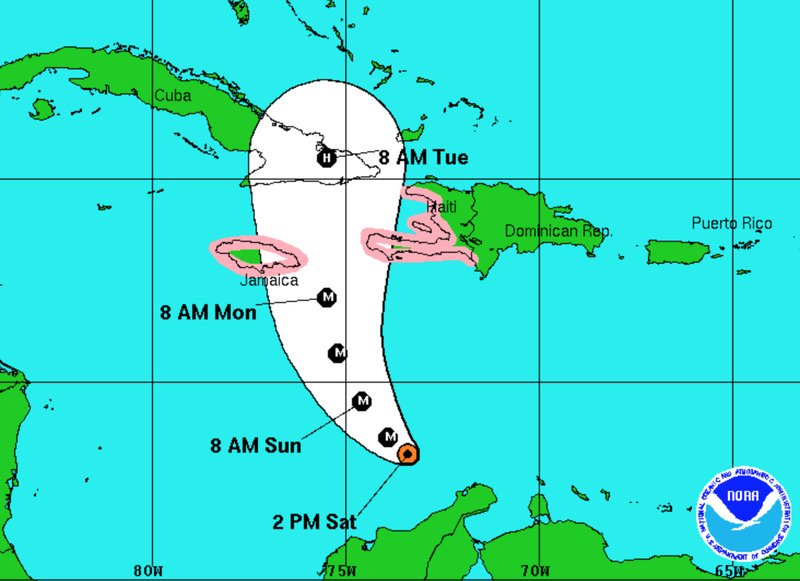 You'll note a hurricane watch has been added for Haiti as the models earlier this morning were pulling the path east. The latest models vary as to whether it would "shoot the gap" between Jamaica and Dominica. So, both areas need to be prepared, accordingly. Because of the strength of this storm, it is a "better prepare than be sorry" situation. The storm will likely be strong when it hits Cuba. The mountains over eastern Cuba will likely weaken Matthew. As to the United States, it is -- at minimum -- five days away. The models are all over the place with the storm's location that far north. Because of the storm's slow movement, it will likely begin to strengthen into major hurricane status. If I lived along the U.S. East Coast, I would do nothing at this point unless you have an infirm relative who lives in a different city. You might wish to coordinate what the plan would be if a hurricane warning is issued.